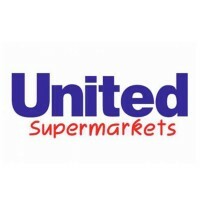 United Supermarkets is one of the bigger retail grocery chains in North America. The company offers a selection of products to choose from with great deals and weekly discount offers. The company was founded by H.D. Snell. In 1916, he opened the company’s corporate office in Lubbock, Texas, and the first retail grocery store in Sayre, Oklahoma. United Supermarkets has more than 60 stores serving both North and West Texas. The company has grown to include more than 10,000 hardworking and customer-friendly employees. Qualified employees gain health benefits like dental, medical, vision, and life insurance. They also receive flexible healthcare spending accounts and disability plans. Other benefits are 401(k) plans, vacation time, college savings plans, auto insurance, and many more. People love working at United Supermarkets because the company offers competitive salaries, benefits, and other perks. Employees would receive the full extent of employee benefits if they opt to become full-time workers. How old do you have to be to work at United Supermarkets? Interested applicants must be 18 years old and above to qualify for any entry-level jobs offered by the company. High school graduates and GED holders are always welcome to apply. Sacker: A sacker usually stays at the frontend bagging groceries and loading the bags in the customers’ vehicles should they need assistance. General housekeeping and product returns are also tasks that fall on their shoulders. Checker: A checker is primarily focused on guest relations and satisfaction. This employee manages all frontend and checkout courtesy tasks like operating cash registers, and price checking. Likewise, a checker is responsible for replying to inquiries and signing up consumers for rewards and loyalty cards. Food Service Clerk: A food service clerk cooks fresh, healthy, and delicious foods. When people come in, a food service clerk will greet them and take their orders. He or she needs to monitor the production dates of edible items to guarantee their freshness. Also, a food service clerk should rotate out expired or old goods. Grocery Store Clerk: A grocery store clerk provides support to various tasks such as making product deliveries, ensuring accurate ordering, and invoicing. This employee performs will need to work with different departments to ensure properly made payments and well-handled invoices. A grocery store hires a clerk to provide help with unloading, supplying, receiving, circling, or filing merchandise. Wine Department Clerk: A wine department clerk handles both displays and promoting their products. They are the ones who can advise consumers on a particular wines’ quality, its proper handling, and other crucial factors that may affect such items. Likewise, a wine department clerk is responsible for practicing and sustaining department standards. Night Stocker: A night stocker refills the empty shelves with different items, typically from 8 PM until 7 AM. He needs to visually inspects the retail areas and read inventory records to find out the right items to get from warehouses and storerooms. A night stocker arranges the items creatively, making them easy to reach. Checker: A checker works differently from one store to another. However, some elements in his or her job are standard requisites regardless of the working area. These elements involve counting, manual labor, customer service, cash counting, debit and credit card management and cleanup. Pharmacy Technician: This employee assists pharmacists with preparing and dispensing prescription medicines for consumers. A pharmacy technician receives a written prescription request or an online request sent by a doctor via email or telephone. Depending on the state laws, this person can blend the medicines and obtain a refill authorization from the physician. Meat Clerks: Meat clerks weigh, wrap and price meat for all customers. They may be requested to cut deli meat or bigger meat pieces for display at the counter. Meat clerks work and interact with customers each day, so they must be good at customer service. Meat Cutters: Meat cutters are also called butchers. They use different carving tools to slice and prepare meat products for sale. Meat cutters must have some special skills or expertise in meat cutting. These skills will enable them to cut bigger meat pieces into chops, steaks, sausages, roasts and other slice types. Interested applicants may visit the company’s official website to get some details about job vacancies. Or, they may visit directly the nearest grocery branch and look for store managers. The company accepts both online and in-person applications. The web-based career system is managed by The United Family. The system provides the instructions to follow when applying for a job and information regarding the interview process. Candidates should provide their address, educational attainment, and past work experience when filling in the application. Filling in the application will take up to twenty minutes to complete. Extra questions may be given to limit the qualifications for vacancies. Applicants must submit a copy of their recently updated resume with decent ID picture. All important details should be in the document especially their previous employers and educational attainment. Qualified candidates must be fully prepared for the interview. They should wear casual business attire and arrive earlier to be well-prepared. Also, they must be confident with their answer to every question. The company is a “family-oriented one”, treating people as special guests, not customers. Also, United Supermarkets does everything it can to show how much it cares for everybody. The company gives utmost value on relationships, environment, joy, hospitality, and quality. United Supermarkets never fails in surprising its customers. The company gives great deals and discount privileges plus eGifts for their loyal customers. The management continuously looks for incredible ways to show their gratitude to people who continuously support the company. The company stays popular and reputable because of its quality products, community involvement, and unbeatable values. Also, the organization treats well its employees by giving them all perks they deserve. It gives fair attention and value to both customers and employees. The company also gives back to the community. It gives more than two million every year to communities through money and goods. The management organizes community programs to raise funds to support their charitable activities. 1 How old do you have to be to work at United Supermarkets?